SAN LEANDRO HOSPITAL | When news Sutter Health had purchased a full-page color advertisement in various newspapers just a day before Alameda County Supervisor Wilma was set to discuss the fairness of the health care provider’s non-profit tax exemption, it struck more than a few as no coincidence. It also gave yet another indication the public relations-conscious Sacramento-based corporation has a higher than normal aversion to bad news. Chan’s candid nature when it comes to Sutter is not surprising. She says Sutter will not talk to her about the impending siutation at San Leandro Hospital. Of course, being persona non grata with Sutter is something of a badge of honor for supporters of keeping the hospital open. “After the lawsuit, no one really knows what’s going on,” Chan said. “I don’t know what’s going on and they’re not allowed to talk about it.” During last Friday’s information-only meeting in San Leandro, Chan said Sutter officials were also invited, but a Sutter spokesman denied the assertion earlier this week. While Alameda County officials, Eden Township Healthcare District members and Sutter have been noticeably quiet on the future of San Leandro Hospital over the past few months, one union official tells The Citizen Sutter’s ambivalence is tied to its proposed construction of a 550-bed facility at Cathedral Hill in San Francisco. A plan blessed by San Francisco Mayor Ed Lee lashed the Cathredral Hill project together with Sutter continuing operations at St. Luke’s Hospital, a facility much like San Leandro Hospital that caters to uninsured and low-income patients. “Sutter cannot have a hospital closing in the East Bay at the same time its in negotiation for Cathedral Hill,” said the representative. In addition, Sutter may not have enough votes on the San Francisco Board of Supervisors to move the plan forward anyway. To demonstrate the interconnectivity of Sutter’s strategies not only in San Francisco, but in similarly controversial battles in Marin, Santa Rosa and San Leandro, the San Francisco Examiner reported the San Francisco Board of Supervisors registered concern over fine points in Sutter’s proposal to continue operating St. Luke’s. Supervisors were surprised to learn Sutter subsidiary, California Pacific Medical Center, could close St. Luke’s if it were to fall below one percent of its operating margin for two consecutive years, the paper reported. A similar gambit was employed by Sutter in San Leandro following the pivotal signing of a memorandum of understanding in 2008 that ultimately leading to the reconstruction of Eden Hospital in Castro Valley, but put San Leandro Hospital’s future on tenuous footing. Critics say Sutter did not even wait two years to begin plans to close the hospital under the clause. The move later fomented consternation in the community and set the stage for a reconfigured health care district to stymie Sutter’s intentions through the court system. A correction today on the Examiner’s Web site states Sutter does not plan to close St. Luke’s, but the parallels, nontheless, between the two situations are ominous. As reported last week, doctors and nurses continue to charge the dire financial straits at San Leandro Hospital were created by Sutter through creative accounting. Sutter’s state hospital license covers both San Leandro and Eden leading many critics to say Sutter is cooking the books as precursor to closing the facility and its emergency room. Sutter also received a stinging blow in Marin County where an arbitrator last week ordered them to pay the Marin Healthcare District over $21 million. Critics had charged Sutter with siphoning $180 million in profits away from Marin General Hospital in anticipation of turning over the facility to the District. More bad news is also expected for Sutter in August when a state legislative audit of its business practices, recommended last year by Sen. Ellen Corbett, is due to be released. Posted in Alameda County Board, Eden hospital, Eden Township, Marin Healthcare District, S.L. 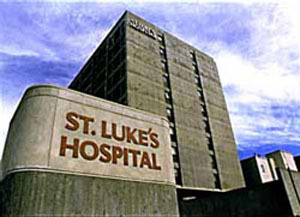 Hospital, San Francisco, St. Luke's, Sutter, Wilma Chan. Bookmark the permalink. I've lived in San Leandro for 50 years, and for decades this hospital has been having financial problems–long before Sutter took over. But, did the other operators have an incentive to close it or to sell it? If Sutter wants to return to the 2009 deal or some similar structure then they need to wait until the election is over. If Sutter is not losing too much money at SLH then they want to wait until they assess what ETHD is willing to offer in compensation (reparations) now that the legal battle is over with a decisive victory for Sutter. If Sutter is concerned about ER volumes at Eden (or actually cares about healthcare access, they might want to wait until Kaiser San Leandro opens (Milo, you going to throw around absurd predictions about Kaiser uncompensated ER volumes again unsupported by any facts?). If Sutter cares about publicity, they might want to wait until they reach an accord with CNA and their SF deal is signed. Is there any reason for Sutter to hurry the process that has taken so many years already. The only people who appear to have acted rashly all along the way are ETHD. Mayor/ex Mayor who supports closing a Hospital in his own town . I can't understand what kind of mentality do you have . Sutter is not losing money! !Sutter makes at least $600 million a year . You were the worst mayor I've heard of .STUPID . Yes, stupid is the adjective which fits our ex-Mayor like a glove in this case. It's pointed out in this comments thread that there is a huge difference between previous SLH owners selling the Hospital, and Sutter's persistent attempts to CLOSE the ER, ICU, and other services which save lives and comfort those in pain in our community. Yet, he persists with the same line of thinking. Tony is capable of forming cogent, fact-based, compassionate thoughts on other issues, but the place his mind is stuck on here is INFURIATING! Plus, it showed horrible political instincts. One of the most important things happening in town during his re-election campaign, and he took a very public position which was certain to cost him votes. And for what?